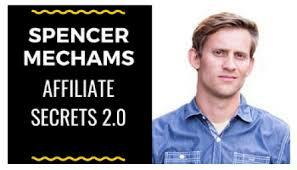 ffiliate Secrets 2.0 is an online course created by legendary Clickfunnels marketer Spencer Mecham. 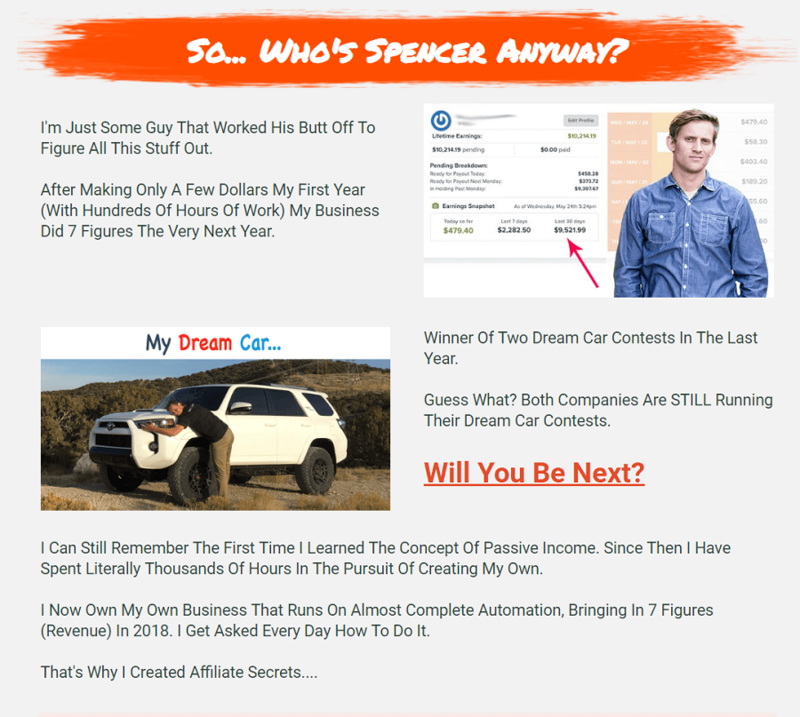 For those unfamiliar with Spencer, he is one of Clickfunnel’s top affiliate marketers and has one multiple affiliate marketing competitions including Dream Car Winners. He is also part of the Two Comma Club which is a prestigious award only given to those who earn over $1,000,000 in Affiliate commissions on Clickfunnels. 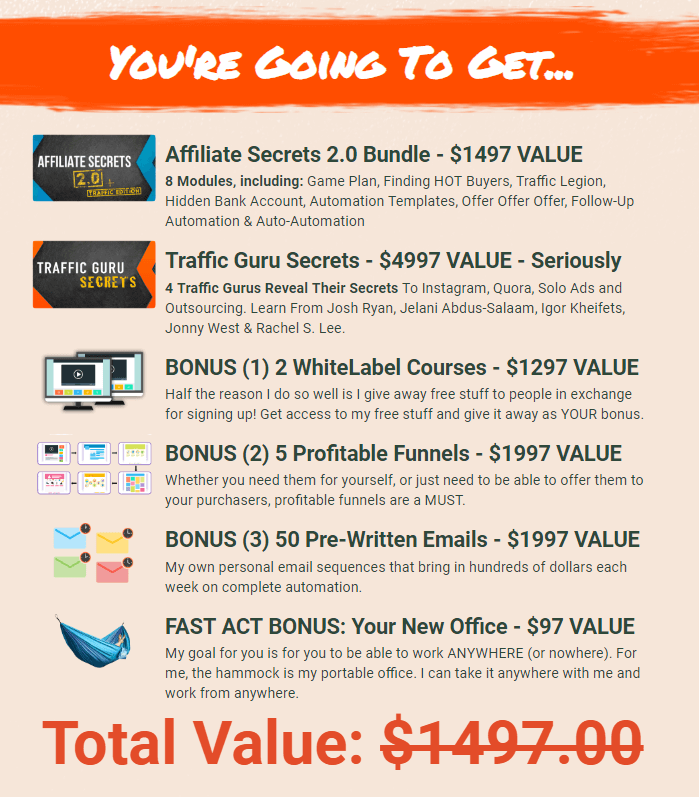 In this course, Spencer reveals his research strategies, promotional tactics, and other tools he uses to make 5-figures a month in pure profit from affiliate marketing. This includes his strategies for Clickfunnels, Clickbank, physical products on Amazon, as well as how he personally creates all of his sales funnels. This module is comprised of 8 comprehensive modules which explain exactly how to find a niche willing buyers and then go out and search for products they want to buy. If you are interested in earning passive income through affiliate marketing this course may be a great fit for you.